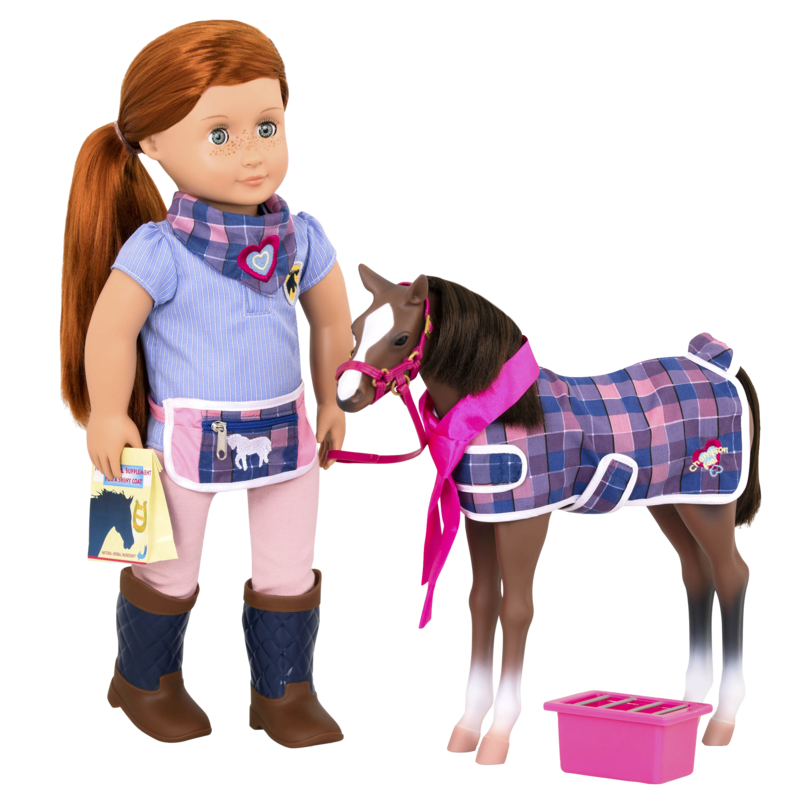 Your doll and this 12-inch foal can wear matching outfits! 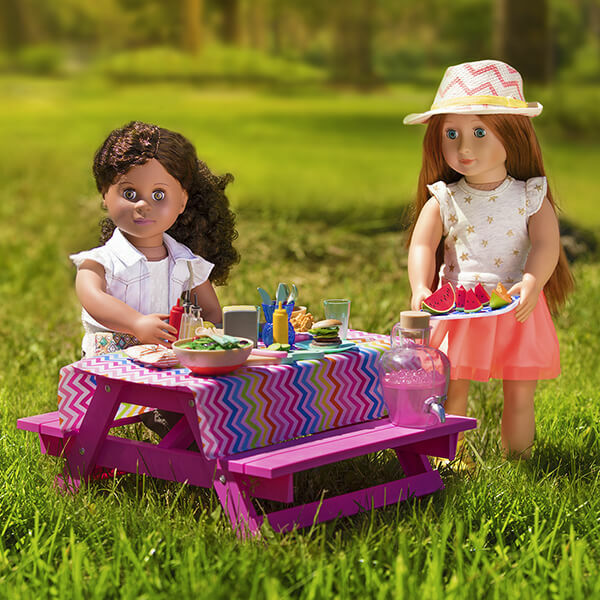 Life is full of surprises, fun, and laughter when you “seize the neigh” every day! 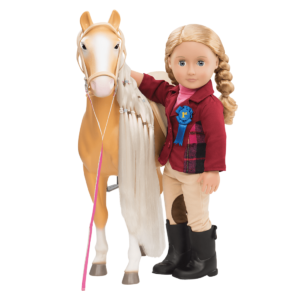 Sometimes the sweetest friends come in small sizes, like the Our Generation Quarter Horse Foal! 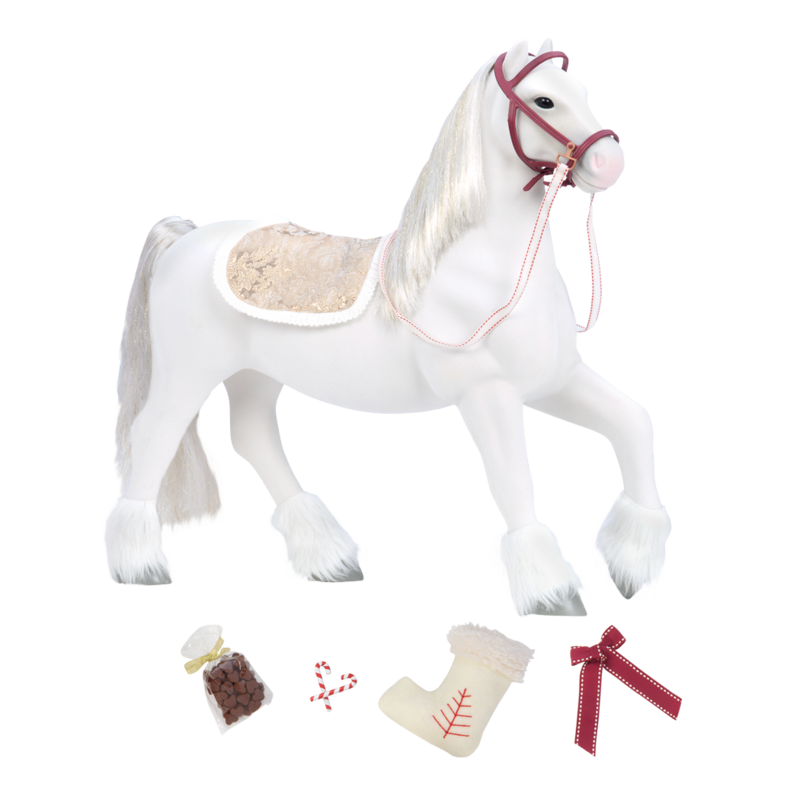 This charming 12-inch baby horse toy is the perfect companion for 18-inch dolls who love horses! 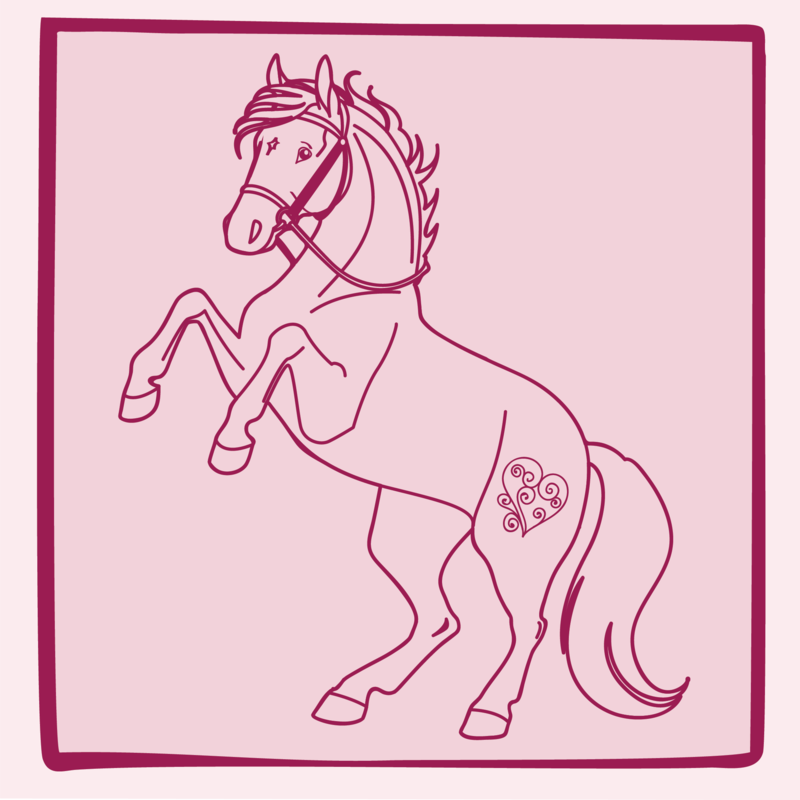 The Quarter Horse Foal has a brown body with white “socks” on its legs, and a dark brown mane and tail. 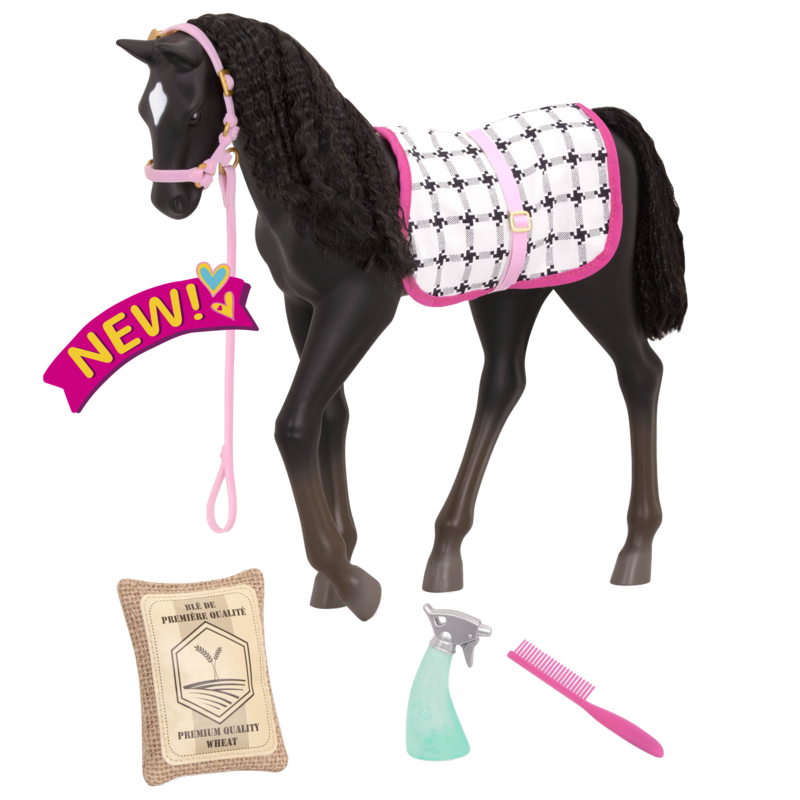 Practice giving your foal different hairstyles – the silky-soft hair is fun to brush! 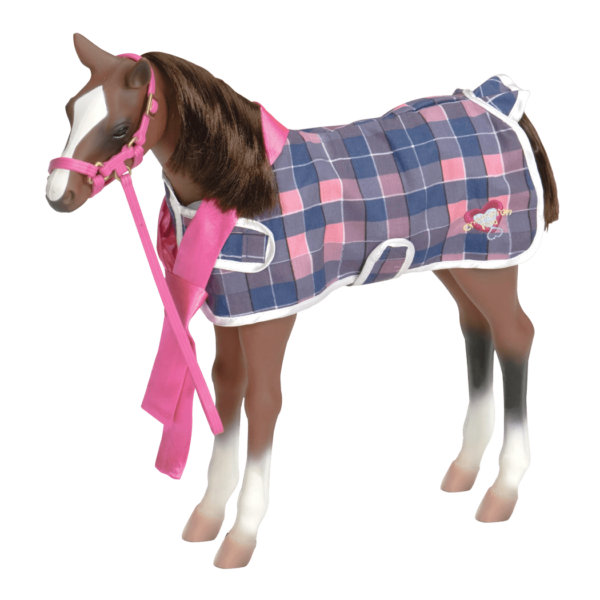 Dress the foal in a cozy and cute plaid blanket wrap. 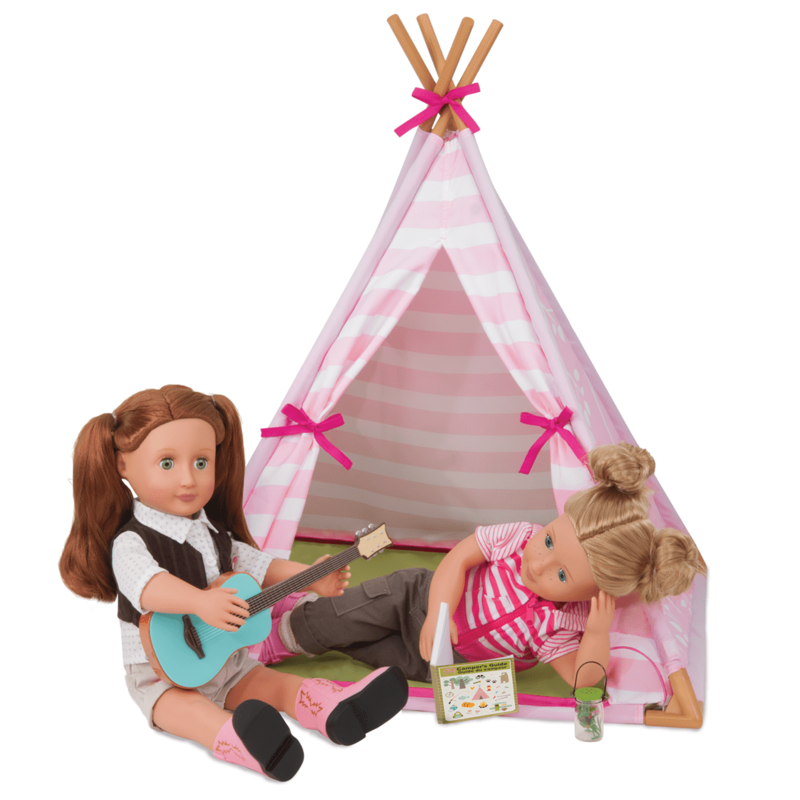 The matching plaid scarf and fanny pack for dolls will let them be twinsies for the day! 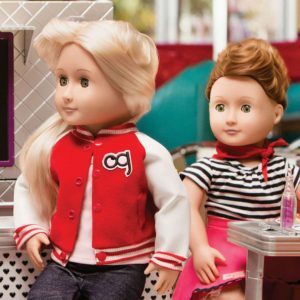 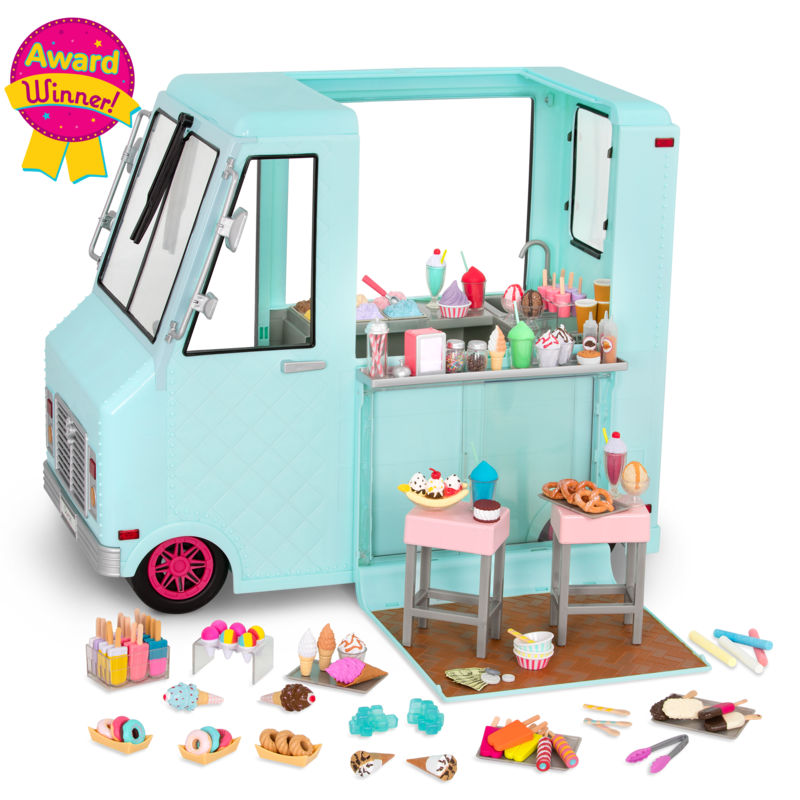 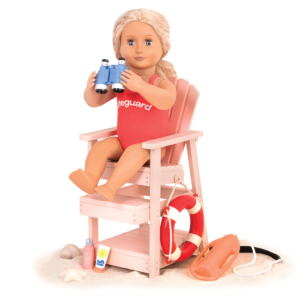 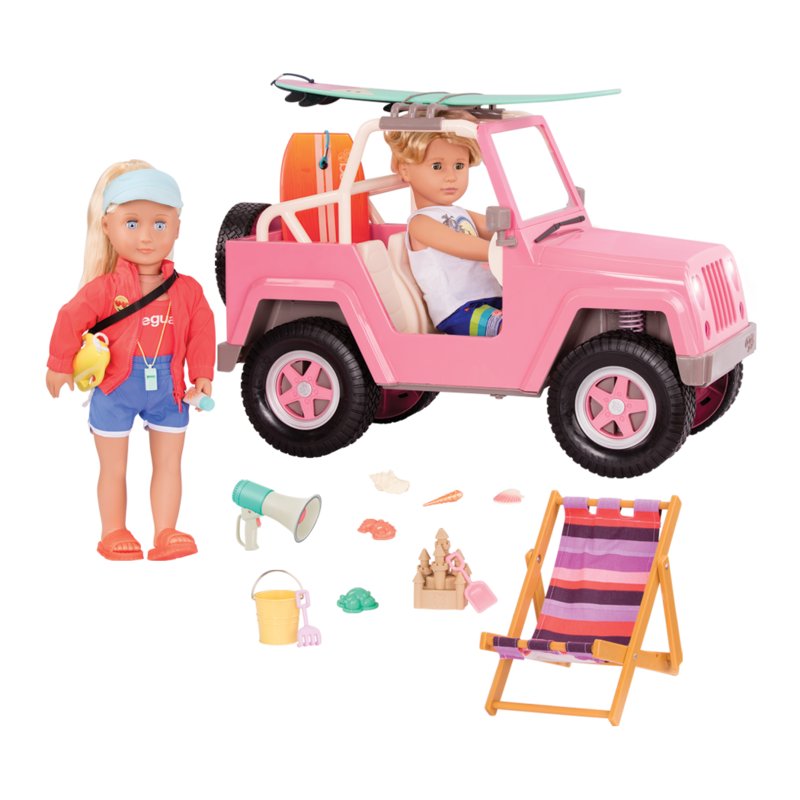 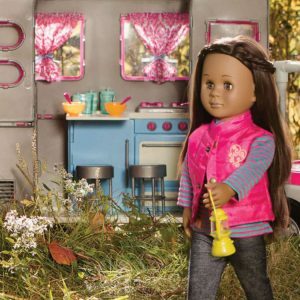 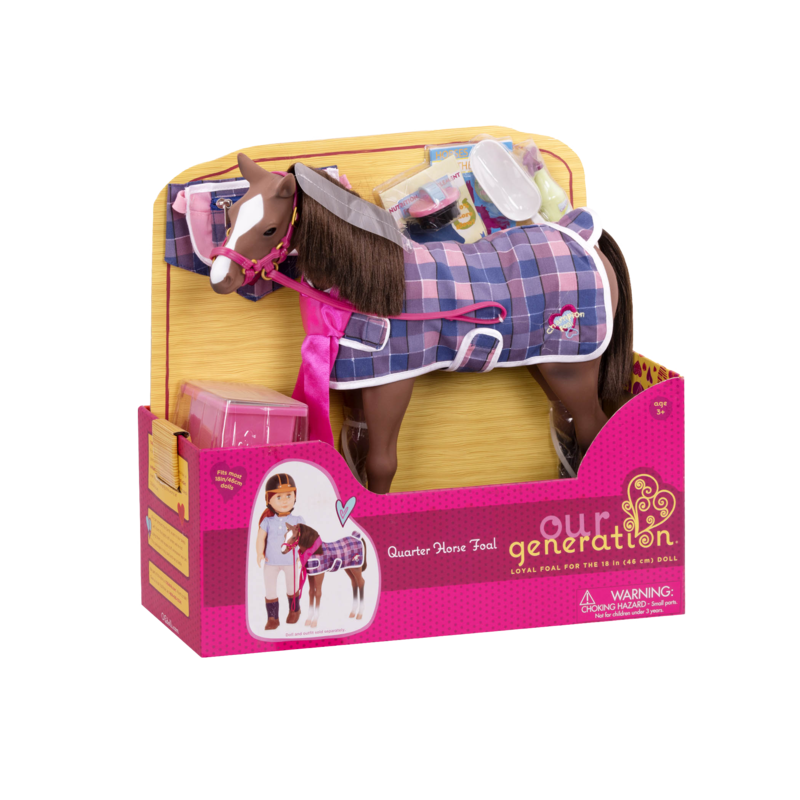 The assortment of grooming and feeding accessories will help your doll take extra-good care of their foal. 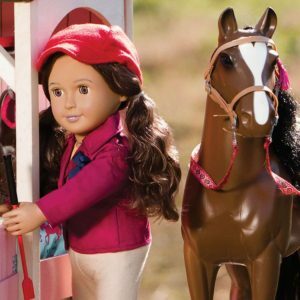 Have you met Elliet, the doll in the pictures of the Quarter Horse Foal? 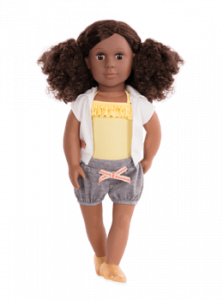 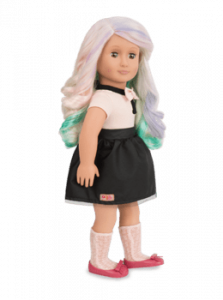 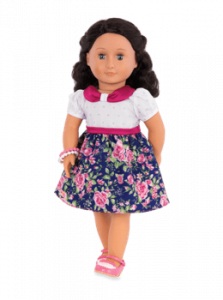 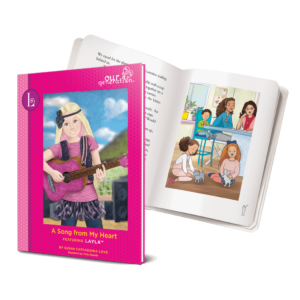 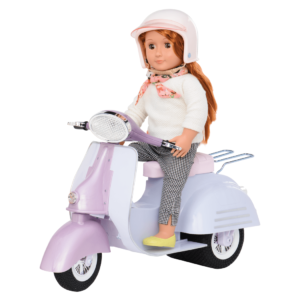 Elliet is one of the Our Generation Equestrian dolls, and she LOVES having a hay day with the foals in the stable! 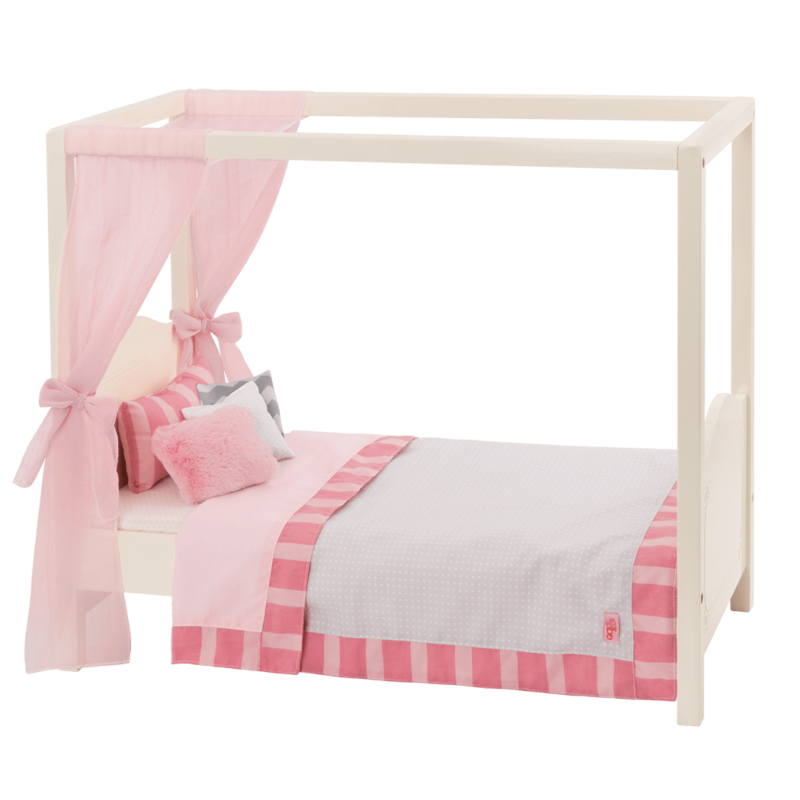 After a long day of play, let your foals and horses rest in the Saddle Up Stables horse barn. 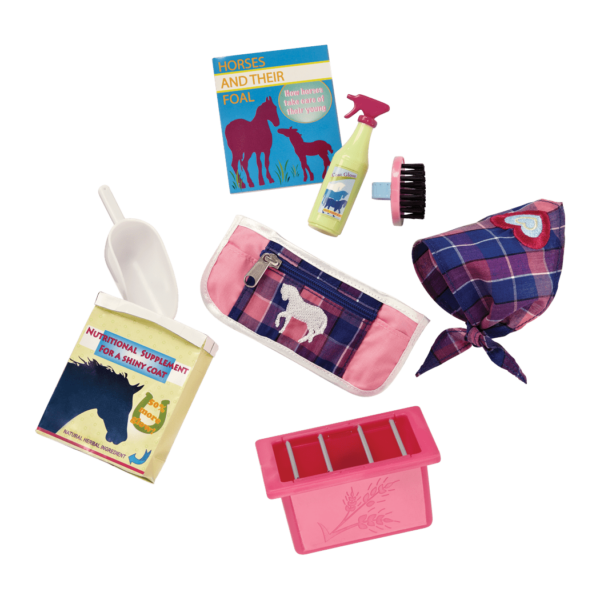 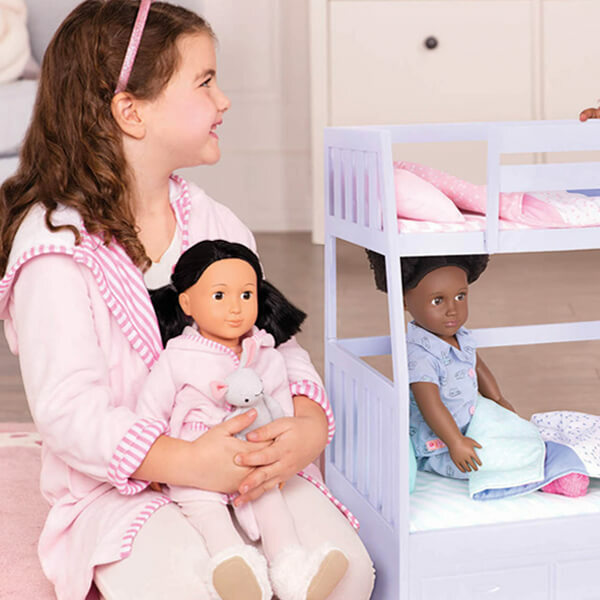 This horse stable set has all the accessories your dolls need to care for their equestrian friends! 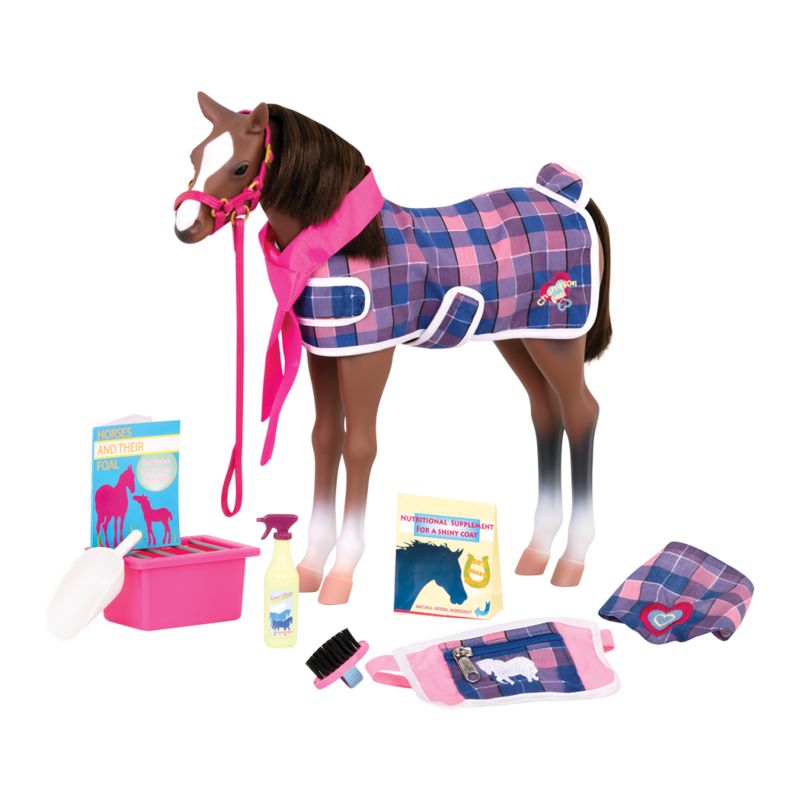 Includes foal, halter & lead, plaid blanket, doll fanny pack, and more!